Does it feel like you are gearing up for Christmas months in advance? Then the day arrives, and two hours later it is all over with and you are packing it all away. Now what? We all look forward to the New Year. Resolutions are written down with a strong will of "I will do this!". By the end of January you are laying on the couch with a bag of chips watching TV and thinking "resolutions? What resolutions?" Break this habit! Don't do resolutions! They don't work. Instead, here is a concept…chose a word you want to impact, improve, or empower your new year. Easier said than done, let me assure you! Every year, I chose a word that I want to become or impact my life. You can read about my journey of choosing a word here. I usually find my word by the end of the year before my annual trip to New York. This year I am struggling. One reason is I don't want to give up my 2014 word "BRAVE". This word has had such a huge impact in my life. What I thought was going to start out as being BRAVE to get outside my beautiful, comfy box and to expand my blog has really taken different turns and twists. Let me show you how a word can impact your life. 2014 was my year to get outside my comfort zone. Boy did I and then some. It all started with LT's mom's health declining rapidly, in which she ended up in a nursing home the end of December 2013. Family drama happened and I am not going to relive that, thank you very much. Let's just say, I had to be really BRAVE for all that transpired. Then his mom passed in March during Spring Break with continued family drama. In January, I volunteered to be on the committee for the 9/11 Memorial Stair Climb in which I traveled to downtown Dallas every month until the climb in September and I was scared each and every time I drove down there. You can learn about the Dallas Stair Climb here. Then my BIL's mother passed unexpectedly in May. She was family to me. We were devastated. I did get my domain for my blog, but writing wasn't in me with all that was going on and then the big one happened. My mom was diagnosed with stage four bladder cancer in July. She contracted pnuemonia while going through initial testing in which she spent a week in the hospital and it went down hill. I had to be BRAVE to face mom's late night pain, the begging of pain meds, her being totally out of it and not speaking coherently. Mom and dad were moved to Oklahoma to live with my other sister (who does a great job with mom!). It has been a roller coaster of getting better and getting worse. Physically, her cancer has shrunk, but still battling mental issues. As I am writing this, my mom is laying on the floor. It seems the only position that is helping today. She sleeps a great deal of the day and is awake all hours of the night. It does put a strain on the family. I look at her and know her time is limited. I have to be BRAVE to help fight through this, to help her have a will to live and fight. The whole family is doing this. The last two days have been good days for mom, but today is shaping up to be a bad day. We will get through it. We will be BRAVE. Tomorrow is chemo and we are hoping she can get it. It has been two weeks where she could not have it and then she spent a couple days in the hospital before Christmas with extremely low sodium. Christmas is over and we are ending 2014, so now what? I am looking for my new word. I feel like I am looking for Waldo in the crowd. My word is not coming to me. This is what I want 2015 to look like: better health-With all the drama and deaths, I turned to my comfort of food and have gained at least 30 pounds (probably more but I refuse the scales cause I know it's bad!). So I need to eat better and exercise. I need to start meditating and devotionals, continue to build and maintain my relationship with LT and make sure he doesn't feel left out or ignored. I need to foster a better relationship with my sisters, to release hurt feelings and to let go of controlling things/issues. This is the year of me. Selfish I know, but sometimes you have to work on you to be able to help others and to be there 100%. Maybe my word is FOCUS. That has been speaking to me. So has EMERGE and VOICE. There is a few days left to figure it out. My blog is about showing while you face the hard times and good times and through it all I know, that I got this. My word has helps me get through the days and know that I really got this. I hope this helps you out. Here are some resources if you are joining me in finding a word to start your new year in the directions you want it to go. Are you joining me? 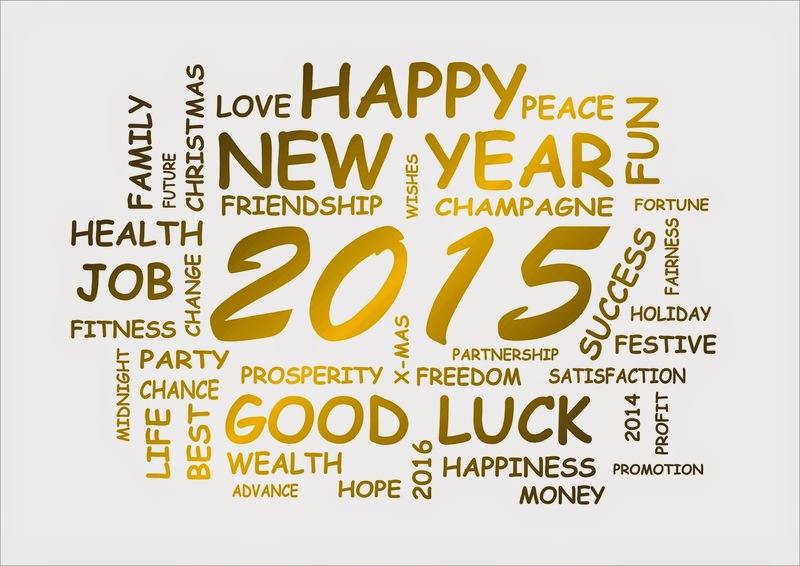 What will 2015 look like? What is your word?